The RSN Summit drew a record crowd of more than 275, including execs from every major RSN organization. 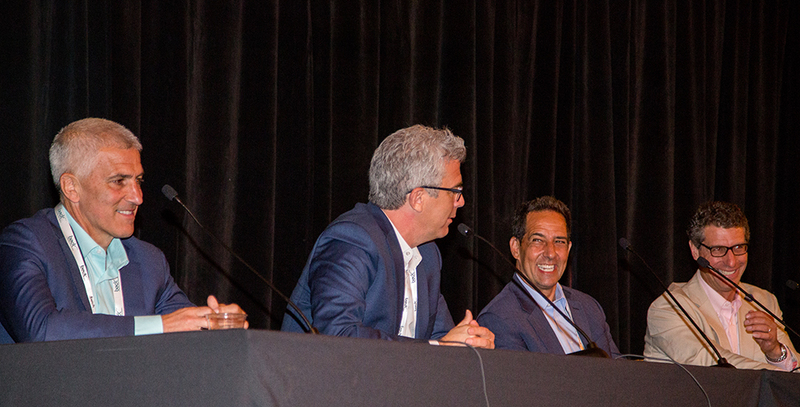 SVG’s second-annual RSN Summit brought together more than 275 top executives from regional sports networks and technology vendors at the historic Palmer House Hilton in Chicago on June 27-28 to address the unique production and business challenges facing RSNs today. The event, which featured an expanded program and record-high attendance for the Opening Night Reception, kicked off on Tuesday with a trio of sessions focused on the State of the RSN Market, comprised of a pair of in-depth presentations focused on Ratings and Viewership and Rights and Opportunities, followed by a star-studded panel discussion. 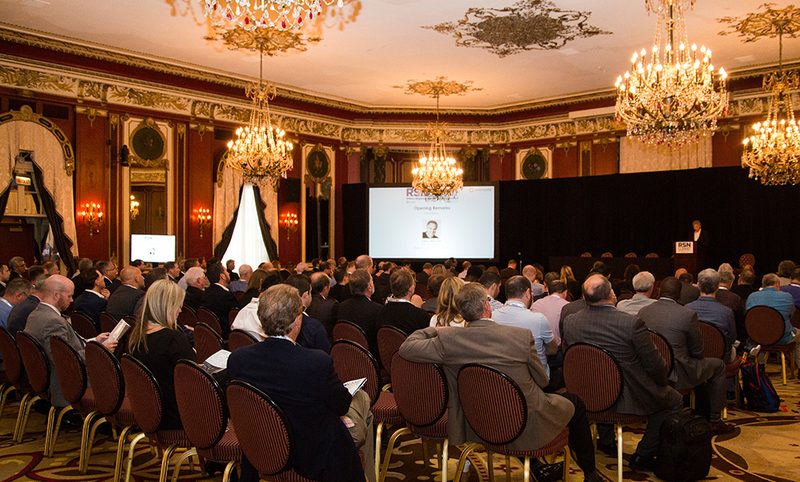 The second-annual RSN Summit drew more than 275 people to Chicago’s Palmer House Hilton. Day 2 featured a full day of sessions, including GM and EP Perspectives; League and Team Perspectives; How New Technology Is Changing the Way We Tell the Story, How OTT, Mobile, Social Are Parts of the ‘New Normal’; Ad Sales and Promos Within Content; and Making Original Programming Work in the Studio and Behind the Scenes. In addition the Wednesday program featured a pair of workshops: The Facebook Live Bootcamp and the Technology and Operations Workshop (covering Best Practices in Operations, 4K and HDR production, and At-Home Production). The program for this year’s event was spearheaded by RSN veteran Larry Meyers and the SVG RSN Advisory Committee. The RSN Summit was made possible by Title Sponsor Program Productions; Diamond Sponsor TokBox; Gold Sponsors Calrec/DiGiCo, Canon, Comrex, Imagine Communications, Quantum, SMT, Sony, and Vizrt; and Event Sponsors BeckTV, Lawo, LTN Global Communications, Mobile TV Group, The Switch, and Thinklogical. Nielsen Sports Commercial Managing Director of Americas Stephen Master and Bevilacqua Helfant Ventures (BHV) Co-Founder Chris Bevilacqua presented the latest information and analysis in respect to RSN ratings/viewership and media rights deals, respectively. Both presentations will be available on www.sportsvideo.org in the coming days. Master and Bevilacqua then joined Fox Sports Regional Networks SVP/EP Michael Connelly and NBC Sports Regional Networks’ President/Group Leader and Strategic Production and Programming Ted Griggs for a wide-ranging Executive Roundtable panel that addressed the health of the RSN industry, as well as potential challenges and opportunities ahead for regional sports rightsholders. Since the RSN business is heavily dependent upon subscriber feeds, the growing cord-cutting trend represents a major threat to how they operate. However, Griggs argued that the passion that Americans have for their local sports teams represents an integral arrow in the RSN quiver as they navigate a changing media landscape in the coming years. The potential direct-to-consumer OTT regional sports services also entered the discussion, as Washington Wizards and Capitals owner Ted Leonsis launched the DC-based Monumental Sports Network last fall and L.A. Clippers owner Steve Ballmer held back some of the team’s digital rights in its most recent deal with Fox in order to build a DTC OTT offering in the near future. Much of the discussion on the panel revolved around the power of regional sports on social media platforms and how Twitter and Facebook can fuel viewership for live sports. 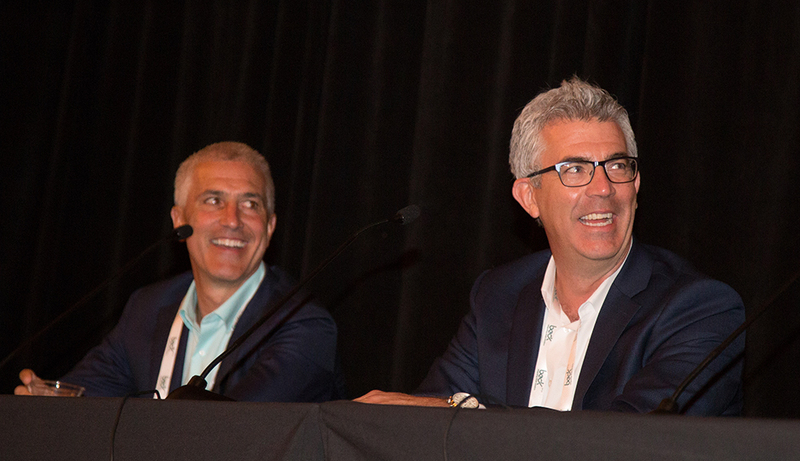 Bevilacqua (left) and Connelly on stage during the Executive Roundtable panel. However, the ability to monetize this intense social-media engagement has remained elusive for live-sports sports rightsholders thus far. Bevilacqua sees the power of social in engaging fans but believes new rights deals in the coming years will open up new revenue streams to capitalize on these social interactions. On the production side of the conversation, Connelly bemoaned the RSN community’s tendency to focus on their team’s aging big-name stars rather than the exciting young players moving up the ranks.